Did you order new watersports gear for 2016? Are you about to give the old, destroyed gear to the binman? If that’s the case, please read on. Project eXtreme gear clean-up by LX bags are an Irish pre-startup looking to create a range of beautiful, functional and high quality fashion accessories (such as backpacks, bags, laptop sleeves, purses and wallets) made out of recycled extreme sports gear (such as kites, wetsuits and sails). To help them go ahead with their project, they are looking at collecting retired gear from both outdoor schools and outdoor enthusiasts. 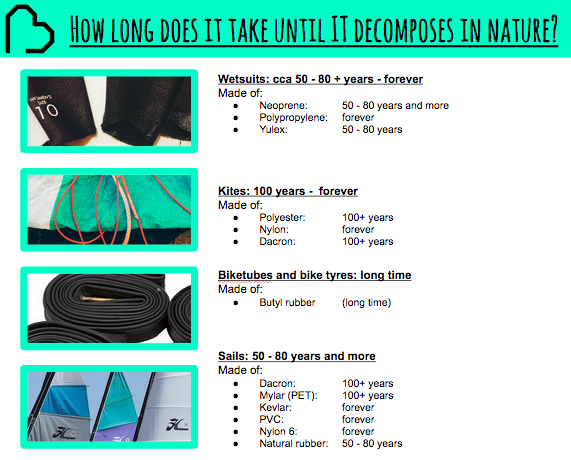 Veronica, The Founder of LX bags, tells us that she came up with this idea when she destroyed two of her own wetsuits. 1) Donate: Give them your old/destroyed gear that you can’t use in your lessons anymore. Avoid bin costs and save the environment. We will do regular collections throughout the year. The first collection will be in mid/end March 2016. Get in touch, if you have something for them. c) A shout out on their blog/Facebook page. LX bags will do regular collections, so don’t worry that your store will get too cluttered. Please, reach out if you are interested in becoming a drop off point. We’ll do the first pickup around the coast in March to distribute the signs and baskets to you and collect the post Christmas/new year cleanup gear which you might have by that time.